It is no secret that I love coffee dates. I love them so much it has become my mission to make Dai love them too. 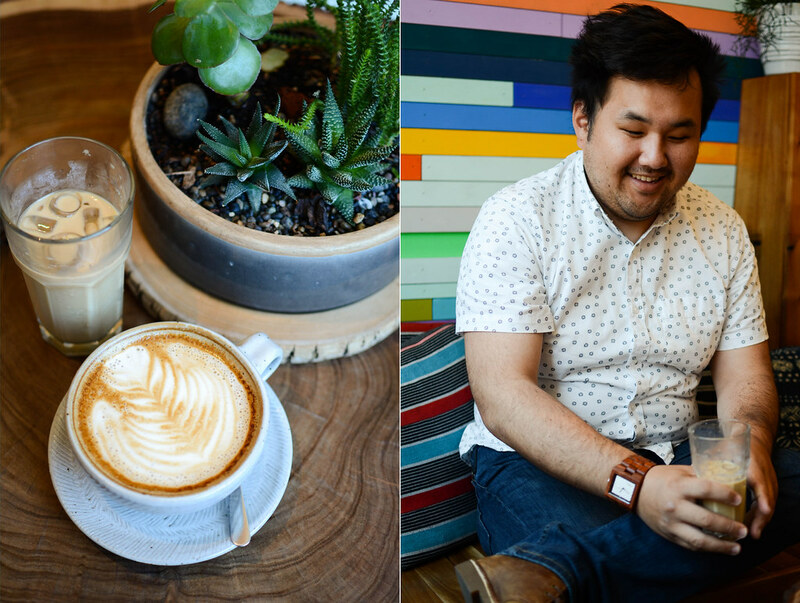 Whenever I can, I get him to come along with me to a coffee shop where we can find a cozy spot to sip our yummy drinks and talk or work on blog things. When I got back from my two-week-long trip, I made a date for us to do just that. We had a lot to catch up on since we hadn't seen each other in so long (the longest time apart in 3 years! 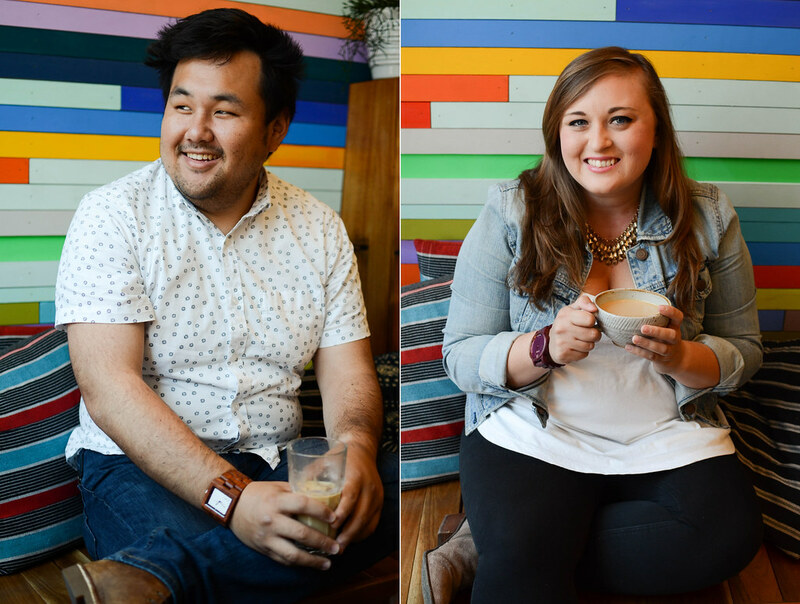 ), so we headed to the city to visit a new-to-us coffee shop called Pinhole Coffee. We loved the vibe and camera themed decor, but that's another story that deserves a post of its own! 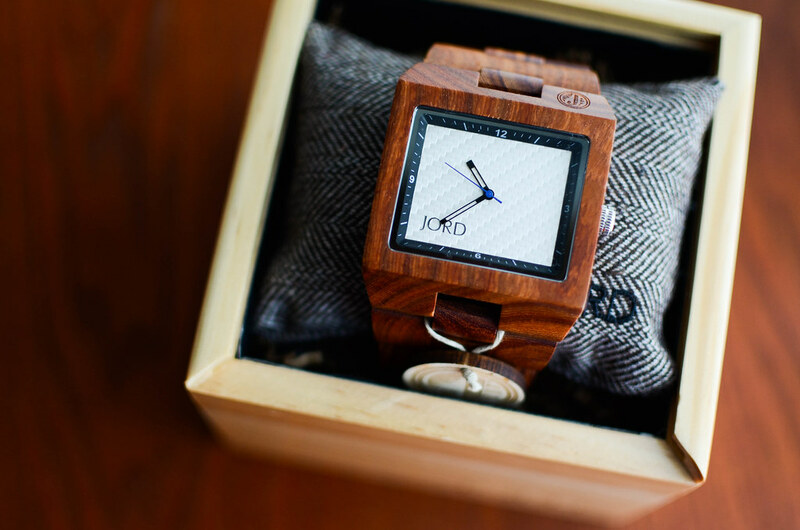 While I was away, Dai and I each received beautiful new wood watches from JORD! I have been eyeing JORD's watches for quite sometime, so I was definitely thrilled to finally have one of my own. I had also shown Dai this company a while back and ever since then he has been telling me that he wanted one, so as you can imagine, he was pretty happy too! 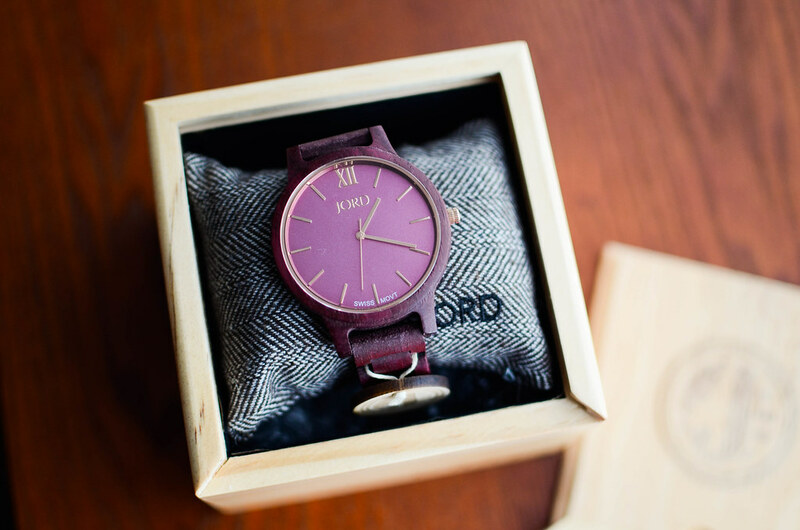 When we opened our watch boxes, we were both so impressed with how nicely our watches were packaged. I almost didn't want to take mine out! I love that I now have a nice wooden box to use for something else, or better yet, a safe place to store my watch when I am not wearing it. 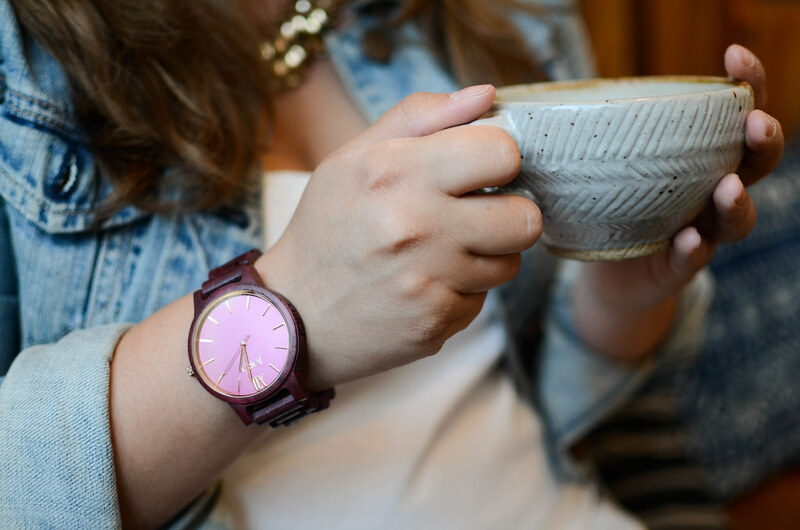 On our coffee date, we both excitedly decided to wear our watches for the first time and I must say, we are in love! 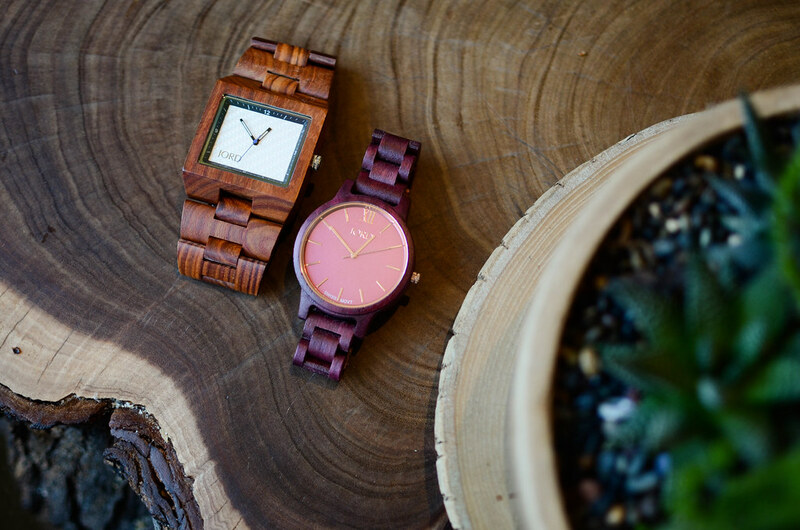 With our watches and each other ;) After going back and forth between our options for watches, Dai finally settled on the Delmar series in Red Sandalwood & White Carbon and I settled on the Frankie series in Purpleheart & Plum. It was a tough decision because we liked so many of them, but we are very happy with our choices! So far I have gotten a lot of compliments on my pretty purple watch! It is very unlike anything I have seen before and the color makes it so unique. It feels really nice on my wrist, especially since JORD sent it to me already sized with my wrist measurements, which is such a great service that they offer with your order! I always hate when I get a watch and have to wait to wear it until I get it sized, so it made me very happy to be able to wear my watch immediately after opening it. 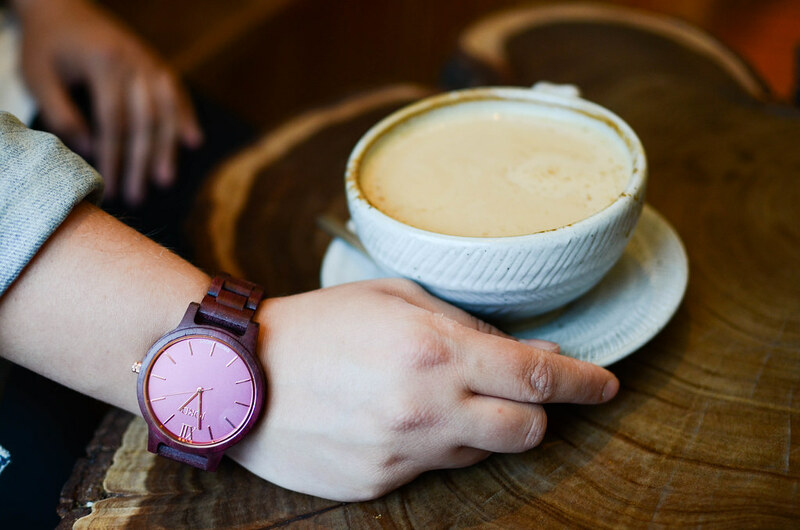 One great thing that we have discovered is that these wood watches fit in so well with our casual style (but can also be easily dressed up when need be!). 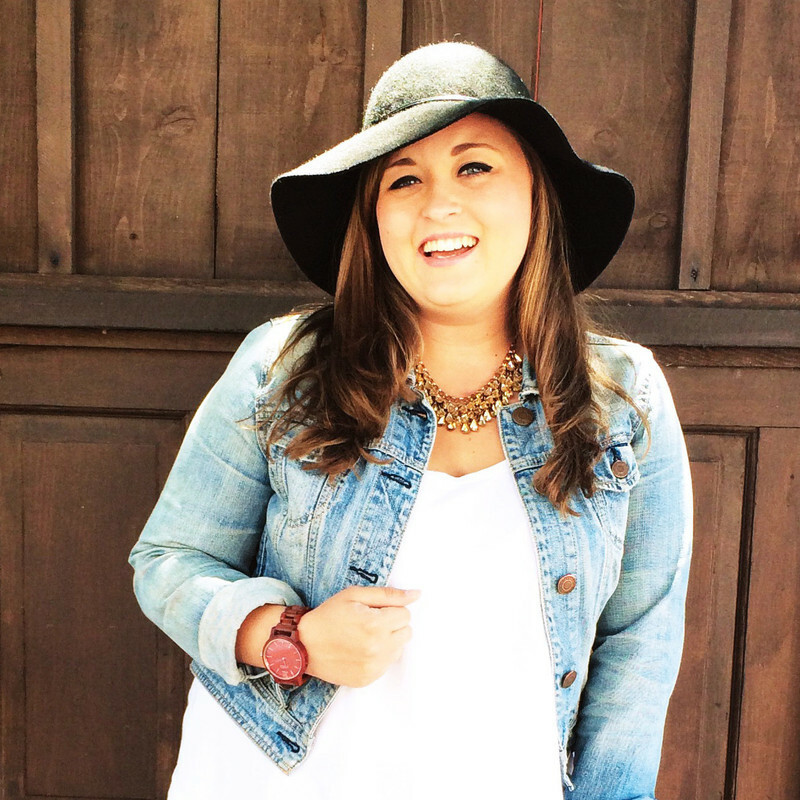 Whether we are wearing them to work at the office, run around with kiddos as a nanny, out on the town on a Friday night, or on a coffee date, they just look so good! We are quite pleased with how these unique watches fit right in to our busy and casual lifestyle. 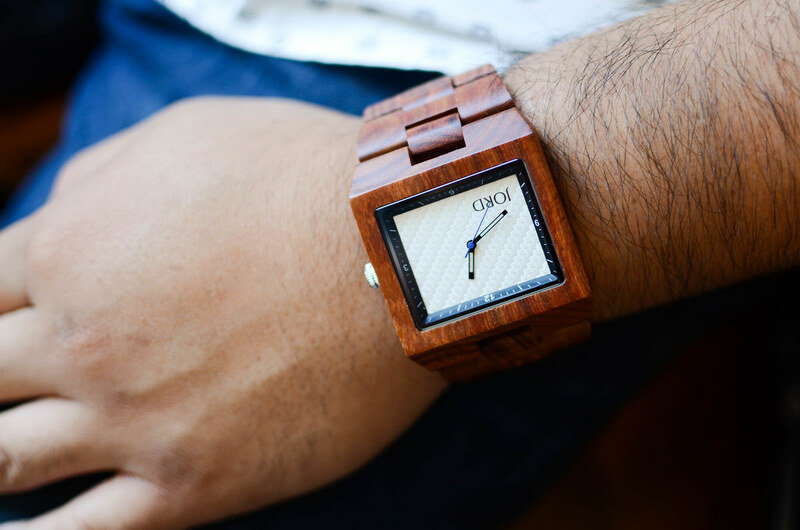 Dai was really drawn to the eye-catching design of his watch, as the big face of it compliments his style and the redwood and white carbon contrast each other so nicely. So far he has loved wearing it to work and showing it off to his coworkers haha. All in all, our coffee date was a success and we enjoyed our latte & iced coffee! I think I just may have even convinced Dai that we should schedule some more of these in the future :) There is something so nice about relaxing and catching up over a cup of goodness! 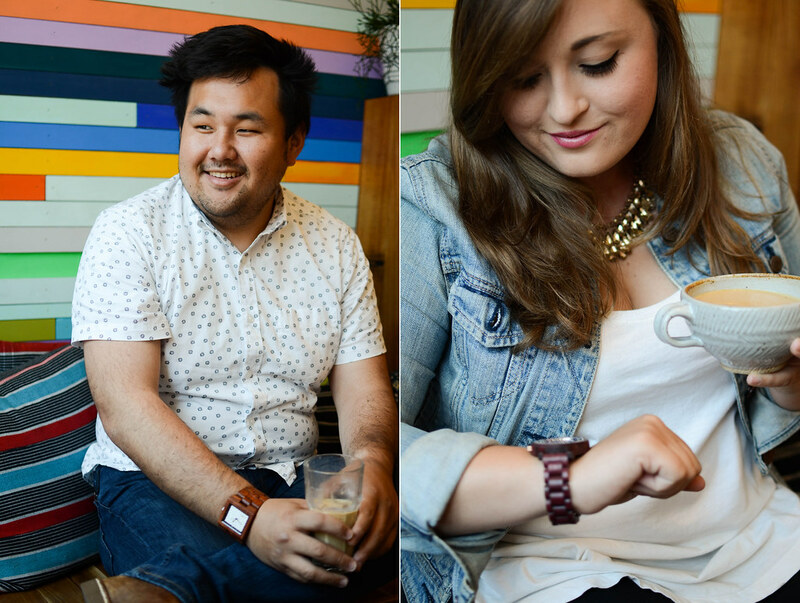 Big thanks to JORD for sending us these lovely watches to enjoy and wear on coffee dates for many years to come!